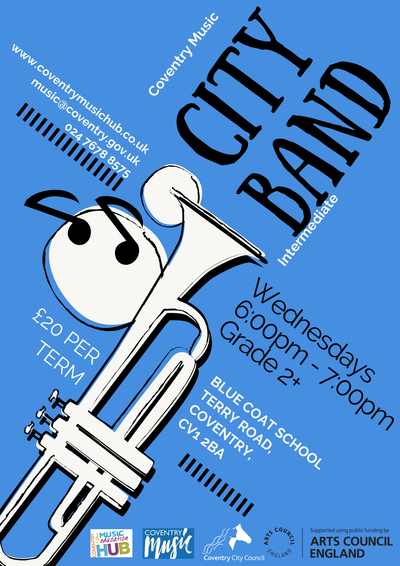 Tutors from Coventry Music work with talented young musicians who join the City Band from about Grade 2 standard. With a reputation for giving concerts of a high standard, with a wide variety of pieces, the City Band offers players great performance opportunities at venues such as Warwick Arts Centre and the Belgrade Theatre. From original works to arrangements ranging from classical to pop, this vibrant ensemble is committed to extending the playing experience to an advanced level.